The membership of CAHA includes organisations and individuals from a broad cross section of the health sector, with 26 organisational members representing health care professionals from medicine, nursing, physiotherapy, social work and psychology, as well as health care service providers, institutions, academics, researchers, and health consumers. The impetus for the establishment of the Alliance was the call from the May 2009 issue of the international medical journal The Lancet calling for a public health movement that frames the threat of climate change for humankind as a health issue. CAHA's members recognise that health care stakeholders have a particular responsibility to the community in advocating for public policy that will promote and protect human health. In advocating for policy action to prevent further global warming, CAHA recognises that this must include dramatic and urgent reductions in greenhouse gas emissions and removal of excess carbon dioxide from the atmosphere to restore a safe climate. The Alliance aims to contribute to the development and implementation of evidence based public policy to protect the community from the adverse consequences of climate change, and promote recognition that policies to reduce greenhouse gas emissions and protect the environment have the potential to bring important public health benefits. CAHA aims to facilitate collaboration in the sector for the development of effective responses to climate change as well as promote sustainable practices in health care to reduce the sector's environmental footprint. A brochure About CAHA is available to share information about the Climate and Health Alliance. Please download the brochure or email the link to share with your colleagues. The CAHA Declaration outlines further the shared position of the members of the Alliance , including its Priorities for action. To download a pdf for printing, click here. 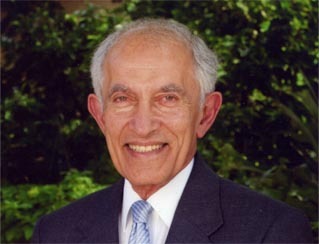 Professor David De Kretser, former Governor of Victoria, is the Patron of the Climate and Health Alliance. Professor De Kretser is a Senior Scientist in the Centre for Reproduction and Development at Monash University whose appointments at Monash have included Professor of Anatomy, the founding Director of the Monash Institute of Medical Research and the Associate Dean for Biotechnology Development. Professor De Kretser is a Fellow of the Royal Australasian College of Physicians, the Australian Academy of Science and the Australian Academy of Technological Sciences and Engineering.